ZCerberus sure knows how to build a nice castle village scene. The elemental monster is also a cool creation by itself. But, what really caught my attention on this MOC is the ingenious use of Power Functions on the scene. 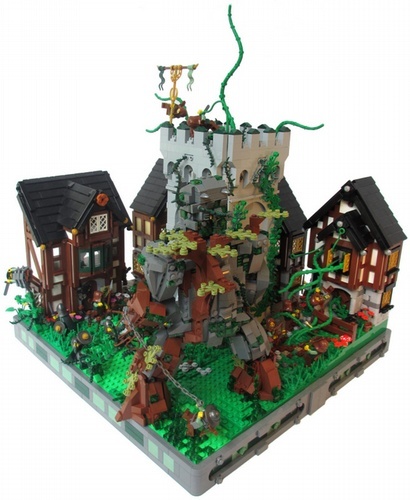 Both the moving tentacles and the leaning tower are what makes this creation really great.